Alan Cresswell plays clarinet,, accompanied by Kevin Scott playing with Golden Eagle Jazz Band at Farnborough Jazz Club (Kent) on 17th June 2016. Photo by Mike Witt. 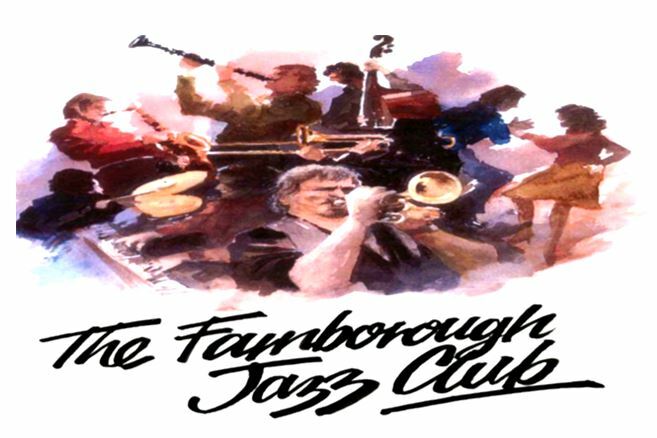 The FARNBOROUGH JAZZ CLUB (here in Kent) has booked the GOLDEN EAGLE JAZZ BAND to play Friday, 24th November 2017. KEVIN SCOTT, who plays tenor banjo, has booked TONY KARAVIS on trumpet. I think it is the first time Tony has played for us, so let’s give him our warm ‘Farnborough welcome’ please everyone. 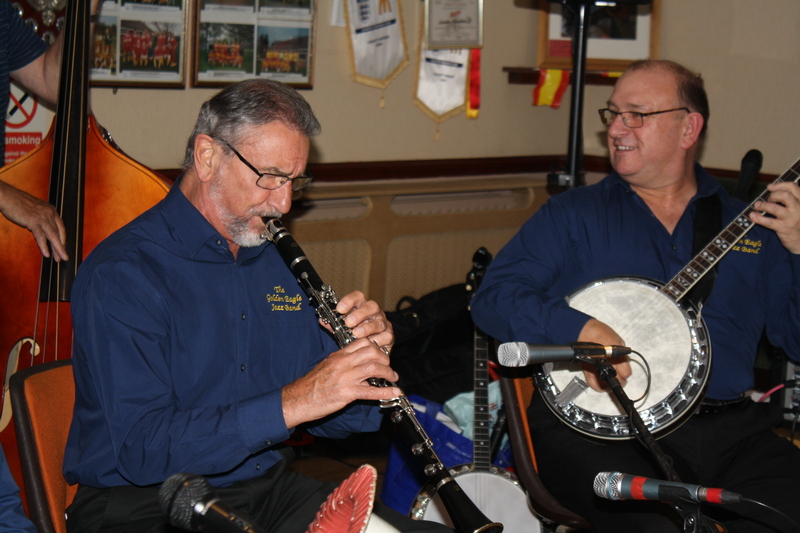 Kevin has also booked ALAN CRESSWELL on reeds, ROY STOKES on trombone & vocals, JOHN SIRETT on double bass and MALC MURPHEY on drums & vocals. This is another band who will make every effort to please you with their talent at playing New Orleans traditional jazz (Kevin gives out plenty of fun jokes too!). We love to dance here, have a nice Shepherd Neame bar, with a lovely friendly audience you can join, plus plenty of free parking. £10 entrance. How’s that for a great Friday night not to be missed. This entry was posted in Golden Eagle Jazz Band on November 20, 2017 by Diane.